Comments: Rachel Hindsley (Nee: Montague) | Denton MD United States | 1851-1900 | Comments: Seated is Rachel Montague Hindsley. 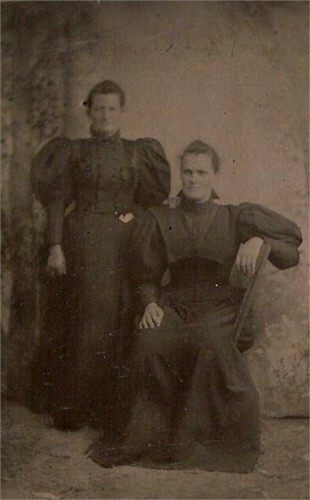 Trying to identify woman standing to her right. Could be a Montague relative.